Mass Observation was recorded 24 years ago, somewhere in a London appartment. The performers were Jim O’Rourke, Robert Hampson and Robin ‘Scanner‘ Rimbaud (the witness being Mike Harding from Touch). 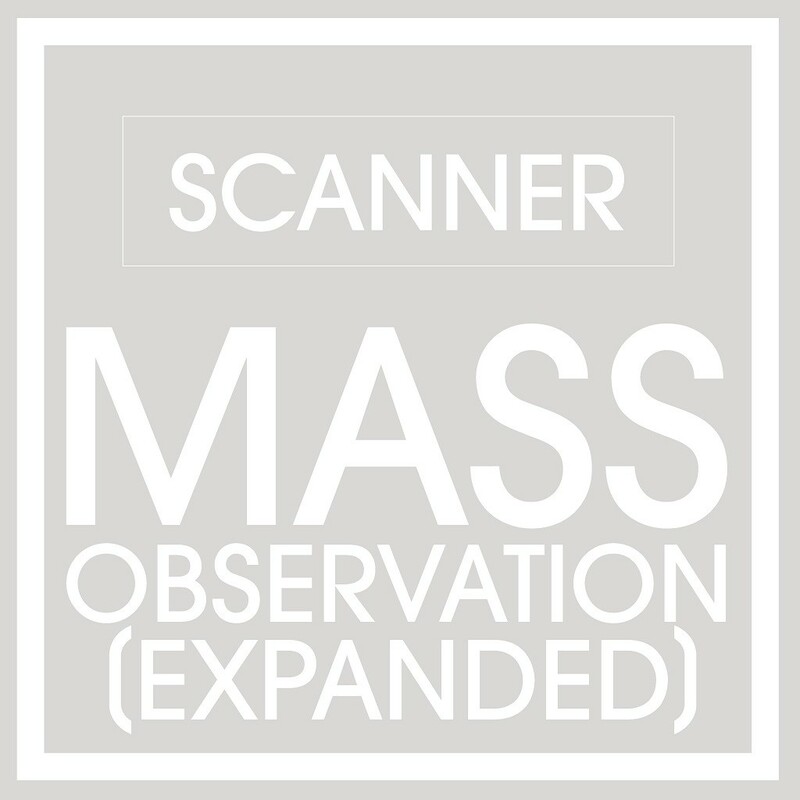 In that time in the mid-90’s, Scanner’s groundbreaking experiment with found sounds captured with radio scanners inspired many experimental artists: Björk, for example, sampled a fragment of Mass Observation on her Possible Maybe single. In one way, this is some sort of re-release and at the same time it is not. One of the two recorded mixes – a 25 minute version – has been released in 1994 on Ash International. This new release is the other recording: ‘expanded’ to over 53 minutes. 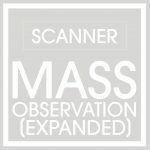 The way Scanner explored ‘the relationship between the public and private spheres’ is now – twenty years later – even more relevant than it was in the 90’s. Public surveillance, data collection, China’s ‘social score’ – we may all be concerned about that but we’ll have to acknowledge that it’s too late now. There are no secrets anymore, there is no privacy. Everything you say or do is being recorded somewhere. And not just by Mr. Rimbaud. Realising this adds a ‘deep sense of drama to these found cellular conversations within a contextual electronic score’. BTW – for completists and everyone else interested: Scanner has also published the Ash 1.7 (Remaster 2018) which includes remasters of the original 1994 release as well as four extra tracks. Canadian visual artist Mathieu St. Pierre, now living and working in Seoul, Korea, specialises in ‘glitch art’. 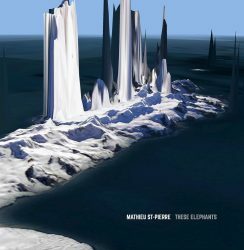 This mainly refers to his visual art, but glitches are also omnipresent in the soundscapes he presents on These Elephants. The stretched, slowly evolving soundscapes bear some resemblance to the work of Alva Noto on his Xerrox project. On this debut album, St. Pierre ‘explores the relationship of ambient sounds with the medium of the internet’. This means the listener has to do some homework (or of course simply decide not to, but then you’re missing an interesting layer) by copying the track title into Google Maps and the use Street View to browse the location. This way, each of the tracks points to a specific place on the map, from which the individual track illustrations are taken. For example: the opening track is called -23.0785729, 143.9554413, which brings you to the heart of Bogota, Colombia. In the end, checking the coordinates for the different titles is an entertaining interactive element, but the music can very well be appreciated on its own too.